E.VII.R. (No. 71 Gunner N. Davey, No.1 Co. Canty. Div. of N.Z.G.A. Vols. 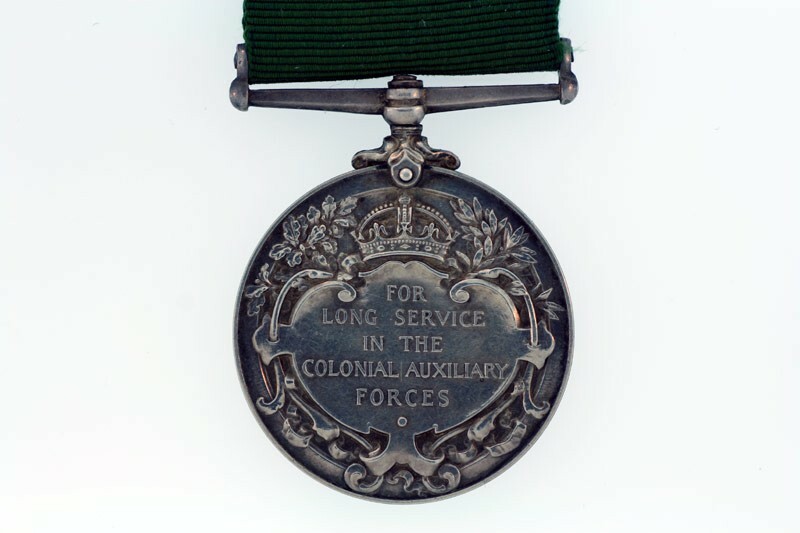 (1909)) mounted as worn, good very fine. 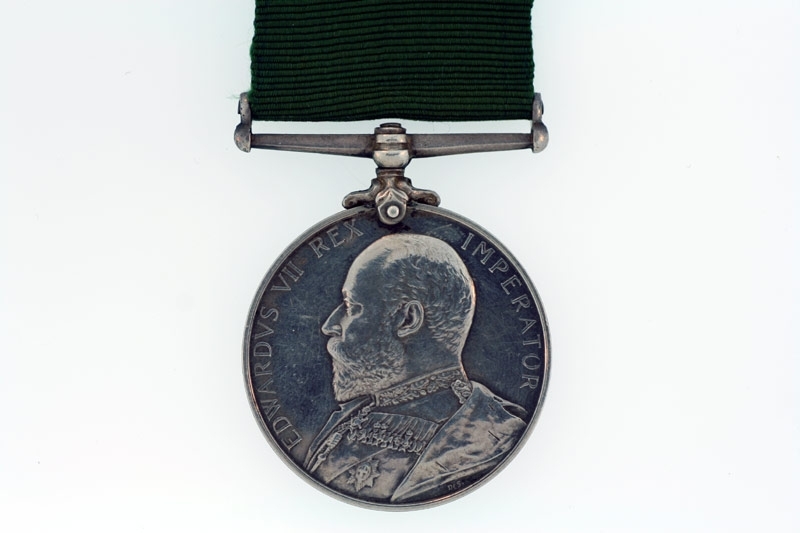 Only 136 Edward VII awards were made to New Zealand volunteer and territorial units between May 1910 and October 1917. Nicholas Davey enrolled into the Canterbury Divison of the Lyttleton Naval Artillery Volunteers on 8 February 1884. Sold with some copied service papers. 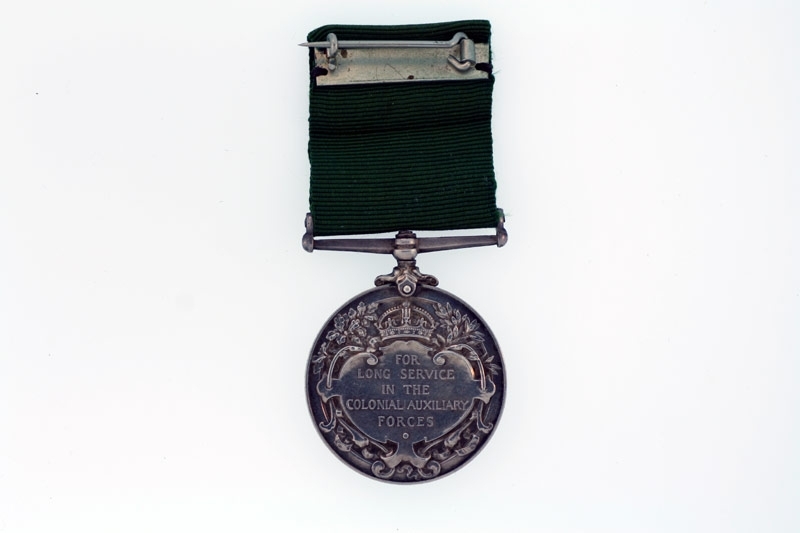 He also appears to have applied for the New Zealand and Efficient Service medal. Rare.